Today being somewhat on the special side and having niceties planned for later on I would like to live to see my sweetheart smile. I am totally accustomed to the continuous increase in arrogance and general carelessness displayed while behind a steering wheel. I use a mix of techniques to ensure the health and safety of both myself and others continuously on a day to day basis. I am simply asking that upon this special day for many a little extra time be allowed to complete your journey safely. Drivers please … A little patience helps us all! Whereas I fully understand that we all have to be somewhere I will never understand why the tolerance and courtesy towards others that we would display automatically in any other public space eludes so many while they are driving. There are countless good advice posts online suggesting leave more time for your journey, advice regarding weather conditions etcetera, I shall almost certainly write more of those myself. Please show a little more patience on the road! The reward for driving while tired can be death! Bit melodramatic for you this morning perhaps? Think about the different circumstances that life throws at us though and it is easy to see the possibilities and many of them are normal life stuff. A change of shift at work can take a while for the body and mind to adjust to. A bout of illness can have exactly the same effect. Something as expected as a night out can leave you driving tired just a few hours later than you normally would be. It is so easy to roll off the old, ‘avoid driving tired’ routine when in real life all of the above are unavoidable. Allow larger gaps between your vehicle and everything else because tiredness impairs judgement. If you have to drive for more than half an hour take breaks. Swap drivers at the half hour point if possible. Open the drivers window – others may complain but having a driver refreshed by cooler air is better than experiencing a car crash. When you take a break at least get out and walk about. If possible when you take a break run cold water across your wrists and keep them there for a while. How many illegal drivers are on our roads? I simply cannot help but wonder how many people are driving cars in the UK, either on a regular or occasional basis, without conforming to the legalities. This thought occurred to me earlier on today when we popped off to Shackfest which is only about a twenty minute drive from us along the A444. Within that short and simple drive along a comparatively straight road interspersed with only a few villages the standard of driving on display was appalling! Certainly the awareness of any sort of risk assessment strategy was absent in the minds of drivers simply launching themselves into the other lane approaching blind bends and accelerating like crazy up to the point that harsh braking was required. I can tell you that someone important to me would have to have a dire need way beyond a mug of tea before I would accept such risks. Our return journey home was uneventful apart from the timings. In common with many UK drivers before me I forgot that the French motorway network has a paeage system which is a toll system of motorway financing. This fact in itself is not what I forgot. I forgot about the absolutely enormous queues which go with it especially at popular choke points in the network such as the Pont Do Normandie. A bloody great bridge upon which several motorways converge. The weekly ‘run to the channel’ for UK tourists has to be the busiest time of the week. We did make it in time for our train but rather than the leisurely drive up the coast with two or three convenient stops for breaks and pictures in pretty places we ended up just driving and queuing. Aah well, life happens. Once back on UK British shores I was faced with an entirely different driving environment. The UK motorway network. Apart from the fact that there are signs and road markings there are not many similarities between the two motorway systems. Ours is wider, used by a far greater number of vehicles, more complex in its nature and once you add smart motorways and traffic officers (oh yes, they exist) to a much more diverse traffic flow then we have, in my opinion, a much better motorway system. With over two thousand miles of motorway network to go at there is much for the beginner to find daunting. I do motorway driving lessons for those in the Nuneaton area at a reasonable price and I can certainly see why they are popular with those who have recently passed. With an extra two and a half million cars on the road in recent years and no end in sight to the rise in traffic numbers the situation is not going to become any easier for the new driver to adjust to. Whereas I can certainly see why our motorways are safer than the French ones, I can also see a point in the not too distant future where motorway tuition will be insisted upon after passing the driving test. Whether the planned expansions to the UK motorway network will make this possible for every area of the country I am not sure. That would be the requirement for adding motorway driving to the standard driving test. I think the time may be approaching whereby new drivers have to jump some sort of official hurdle before they can officially drive on the motorways. As to what that may be; if you have any ideas or suggestions then I would value your opinion in the comments section. Would you park opposite a bus stop? Seriously would you? Clearly I spend more time than most driving in urban areas of Nuneaton than most and I am surprised at the number of people who actually do. The Highway Code Rule 243 clearly states that you MUST NOT stop or park, “at or near a bus or tram stop or taxi rank” among its list of places where parking is legally prohibited. Just to clarify, the term “at or near” includes opposite. Think of it this way. The bus drivers have well defined places where they are expected to stop. You guessed it, bus stops. If a bus comes to a halt at a bus stop and your car is already parked opposite the bus driver has not legally blocked the carriageway. You have! You are not legally allowed to park opposite the bus stop whereas the bus driver is obliged to stop there. If we could all show a little more forethought and courtesy to others then driving would be a far more pleasurable experience. Do you concentrate as much on car parks? I just popped a piece on the Twitter account which moved me to think a little, it’s amazing how that can happen, even on a Sunday. The practical driving test for car drivers was changed at the back end of last year to bring it more inline with the needs of today’s drivers and I cannot argue with that. We are looking forward to taking a peek at the first ever Nuneaton Food Festival in Nuneaton town centre today and this is what sparked my thought. The extra parking elements to the driving test were brought in because of the ever increasing number of insurance claims originating from use of car parks. Lots of our fellow festival goers today will drive into town, as will I. The insurance industry has been banging on for decades about accidents in the last mile of travel due to complacency and I cannot help but suspect that drivers on car parks have been feeling a little too comfortable that their journey is over because they have entered the car park. Your journey is not over until you have parked the car safely! Nuneaton is enjoying a few sunny days, but are you driving safely? Sunny days are my favourite days and I am certain that I am not alone in expressing that sentiment. I cannot help but wonder though how many drivers in Warwickshire are aware that direct sunlight and the heat that comes from it are two rarely mentioned, or even thought about, driving hazards. Some simple preparation can make your summer driving experience safer. Your tyre pressures can be affected by seasonal changes in temperature. You should check both what they should be and what they actually are and adjust as necessary. This has a major effect upon safety as well as the economic benefit of longer lasting tyres. Haven’t got any? Treat yourself. I always keep a pair of sunglasses in the car and will not undertake a long summer journey without them. The effect upon the road surface of rain on a hot day can be a seriously slippery road surface. 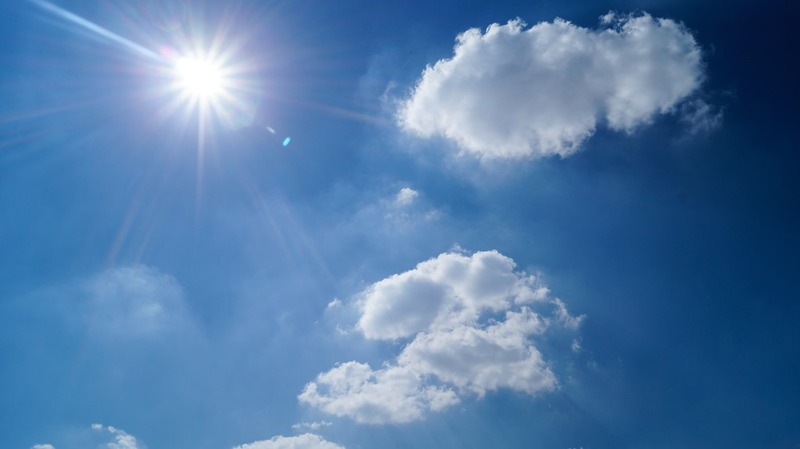 Have you emerged out of a sideroad on a sunny day and been unexpectedly blinded by sunlight? For a few seconds there you were a long way from safe. This also applies to any drivers or pedestrians in the area around you. If you can see that you are about to leave a shaded area and turn into sunlight then be aware of the transition before it happens. Having made this assessment in advance you can turn slower, and be taking visual information from either side of where the sun is. While driving in the countryside or on open roads (if you can find one these days) your average speed may be higher. Great, unless you are blinded again. Look even further ahead to be aware of changes in direction. Even if there is nothing on the road ahead of you, if you are approaching even a slight bend that turns towards the sun you will be safer approaching slower. Just in case! I love the heat of the summer days, probably because I am one of natures summer babies and deal well with it, lucky me. Sounds obvious but what steps do you take to look after yourself? Dehydration can easily lead to headaches, lethargy and after a while blurred vision. There are many branded drinks out there that are wet and refreshing but whoever you are and from whichever postcode you hail you are a human being my friend and water is by far the best thing to have. Air conditioning or open windows? You have to control the heat in the car else you will quickly be sitting in an oven. If you have leather seats you may well have left the door open for a while before you could sit on them if the car had been sitting in direct sunlight. Air conditioning is a boom but be aware of ventilation issues. I use air conditioning in my tuition vehicle all the time on hot days but I make sure that one of the windows is open a little to allow fresh unconditioned air to mix in. If you do not have air conditioning then the windows will be open of course but please be aware of passenger safety and advise children as necessary. I once had a bird fly straight into the drivers side window of the car that I was driving. It is a very rare occurrence but it took me unawares and as I am sure you will understand, I was very pleased that the window was closed. Love your pets? Make sure they are well cared for on the journey then. Water is a must and please be temperature aware on their behalf. If you are uncomfortably hot is will be even more uncomfortable for your family dog. Do not be the arse that leaves either dogs or children in a car on a sunny day. There are plenty of police officers out there who will happily provide a window breaking service upon request, and it can be arranged with only a phone call. Think on! On a long journey breaks are essential to maintain a healthy, well hydrated and clear thinking driver. The same is also true of passengers and pets. Take the opportunity to get out of the car and experience the day outside of the car for a while. Not only will the health of yourself and your passengers and pets be better cared for but you may well find that you all enjoy the day better. Safe Driving is for Life! I just want to reaffirm the point that safe driving is for life and not just the feel good days such as Sunday’s, high days and holidays. Whereas this positive attitude to road safety is one that I foster in my pupils right from the beginning I do not see it portrayed on the roads as much by other drivers. It is a sad fact that the standard of driving, and it has to be said; a distinct lack of courtesy, have reduced in correlation to each other. Please remember that safe driving is for life, not just for the driving test examiner. As I am sure your parents will have mentioned, a little manners costs nothing. There is no licence or supervision required to be a pedestrian. We have all been and to some extent still are pedestrians. Hopefully the readers of this blog are sensible enough when walking around but I am fairly certain that all of you will have seen others walking blindly around paying no heed at all to their own health and safety. Why then when driving do pupils always need reminding to not rely on pedestrians to be sensible? The answer of course is that they are human beings and while learning and implementing new techniques they will have a pretty narrow focus. Health and safety is the watchword of safe driving for life so I will always be encouraging my pupils not to just observe their side of the road ahead, indeed not just the entire carriageway, but the importance of observing the entire street scene. From experience I can assure you that every month I see several instances whereby my pupils plan has to be modified because of the seemingly random actions of a pedestrian. This is why we maintain a dynamic risk assessment at all times. Stay safe people, be pedestrian aware. 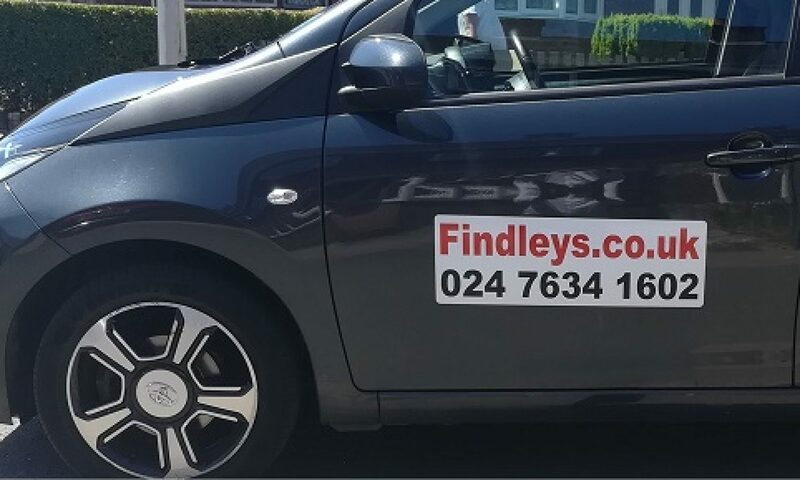 This is the official blog of Findley’s Driving School. Please view the main website for further details. Pedestrians of Nuneaton Please, have a little care for your own safety! What is a driving test?